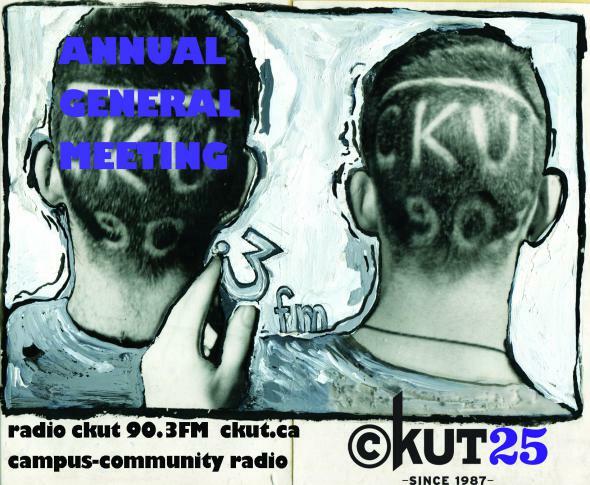 Join us for CKUT’s Annual General Meeting! There will be free food served, and plenty of good times. Since 2012 is CKUT’s 25th Anniversary year we will, most DEFINITELY, be serving up some birthday cake! Whether you’re a veteran volunteer or someone who is new to the station please come out, show your support for CKUT and exercise your rights as a voting member as we nominate people to join the Board of Directors, the Steering Committee and the Programming Committee! The AGM will include Staff, Steering, Board of Directors, Financial and Programming Committee reports. All of the reports + the full agenda for the meeting are available for your perusal here. For new volunteers this will serve as an excellent introduction to CKUT’s activities, resources, what we’ve been up to in the last year and what we’ve got planned for the coming year! If you have any questions, don’t hesitate to contact Caitlin at funding@ckut.ca!